On behalf of the people and Government of Trinidad and Tobago, I extend warm greetings to the First Peoples of our national community. While it has been established that the history of the Americas and the Caribbean Region is punctuated with violence, confrontation and subjugation, it is also a history of courage, bravery, resistance and an enduring aspiration to preserve traditions through which we derive our identity. In Trinidad and Tobago the indigenous Amerindian populations were the first to suffer the onslaught of European colonisers. 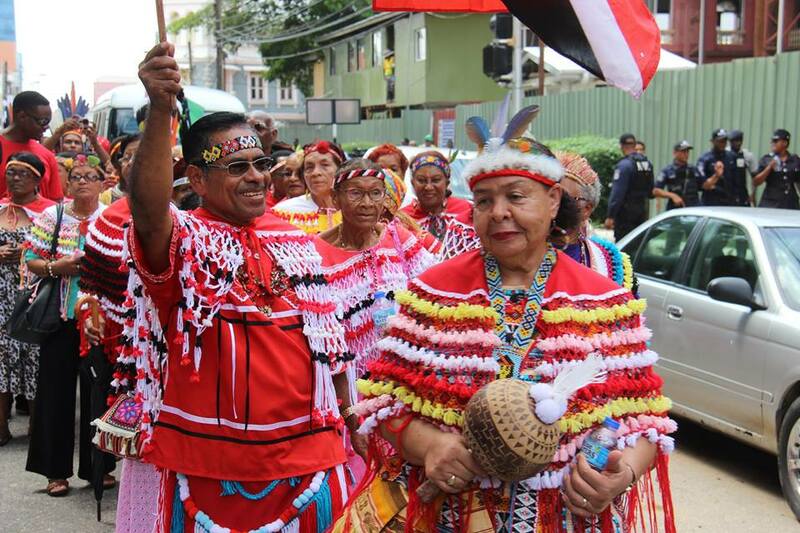 Demoralised, disillusioned but never defeated, our First Peoples, largely recognised through the Arima-based Santa Rosa First Peoples Community, have continuously strived to preserve and revitalise their Amerindian history and traditions. 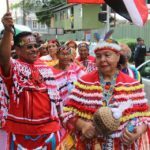 Many persons among us may have participated in the Santa Rosa First Peoples Community Annual Santa Rosa Festival, in honour of the community’s patron saint. More recently during National Patriotism Month 2017, heritage tours were organised to local sites dedicated to preserving the legacy of our First Peoples. So much of Caribbean history and the history of Trinidad and Tobago has been lost or distorted that it is immediately necessary for us as citizens of Trinidad and Tobago to research, hold on to and share our stories with one another and with the world. Our Santa Rosa First Peoples Community has done much to ensure that their historical legacy is preserved and that they continue to be relevant on our cultural landscape. I congratulate Santa Rosa Queen, Jennifer Cassar, Chief Ricardo Bharath Hernandez and the members of the Santa Rosa First Peoples Community for their on-going work to sensitise us on the role and contributions of the Community. Recognition is also due to them for educating the young members of the First Peoples Community in the history and ways of their ancestors. It is a history of which we can all be proud. Do have a safe and enjoyable holiday.